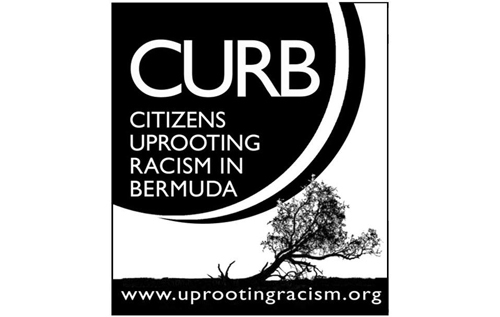 CURB has reviewed the numerous articles, letters to the editor, and online media concerning the increasingly passionate and divisive debate around the awarding of Bermudian Status to Permanent Resident Certificate (PRC) holders, as a result of a loophole that has been confirmed by our Chief Justice, and that what we thought was in our legislation to protect the rights of Bermudians has turned out not to be the case. We also have noted the differing estimates with regard to numbers of awards of status that might be given out immediately and in the near future to spouses and children of those with Permanent Resident Certificates. It is obvious that there is a great deal of confusion in the public sphere as to exactly what this all means and what impact it will have. We note that government has put in an appeal against the decision, but we also need to know what are the government's plans in the event the Supreme Court upholds the decision. CURB has carried out a major review of Bermuda's history with regard to immigration in order to understand the past so it can best inform our future decisions. Our review has unearthed many examples of oppressive immigration policies, multiple examples of en masse banishment of all Free Blacks on the island prior to 1834, evidence of restrictions to voting, gerrymandering and population control. Our research has involved the in depth review of well-respected, well-cited academic books and articles concerning Bermuda's history and we are grateful for the research of Kenneth Robinson, Cyril Packwood, James Smith, Virginia Bernhard, Colwyn Burchall, Margot Maddison-MacFadyan, Duncan McDowall and Walton Brown, among others. In doing this research we have come to more fully understand the absolute frustration and dismay that so many Black Bermudians express over this further marginalization and threat of disenfranchisement. CURB is developing a position paper on this issue, which we hope to release shortly. Therefore, CURB calls on the government to urgently put on hold all status applications and carry out a comprehensive and bi-partisan immigration review, which should include the people's input through public hearings, and take into account Bermuda's oppressive and discriminatory history with regard to racialized immigration legislation and discriminatory voting rights. We call on government to listen to the increasing concerns of further marginalization and disenfranchisement of the Black Bermudian community, and ensure that the process is transparent and fully participatory, and that the end result forms a community consensus on a national immigration plan for the 21st century.